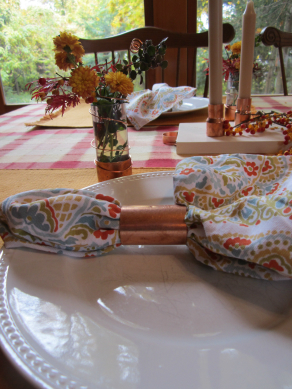 Complete the copper accented table settings with these simple copper napkin rings! 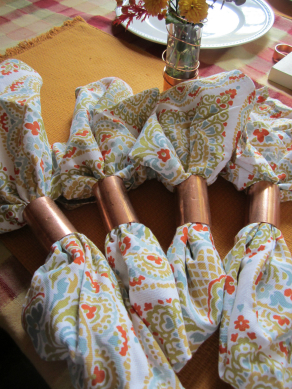 Shop your local Home Depot plumbing department and pick up 1’’ copper couplings, they make the perfect napkin rings! Copper coupling napkin rings are sure to cause questions, and conversation around your holiday table.